Unibet was launched in 1997 as a telephone betting service, although the company would make the move online within a year. Unibet would grow quickly and it was in 2003 that the online casino was launched, while just a year later they were listed on the NASDAQ OMX Nordic Exchange. Today, Unibet are one of the premier gaming sites in the world, with a customer base of nearly 5 million players enjoying the site from more than 150 countries. 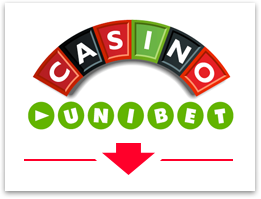 In this review, I’ll take a look at all aspects of the Unibet Casino. I’ll start by detailing the various ways in which you’ll be able to access the casino, as well as cover the range of high quality developers who supply the site with software. I then go through each section of the casino, with a particular focus on the impressive slots. I finish by detailing the various rewards that will come your way when both joining the site and for existing members. The Unibet online casino is a no download site, so you’ll be playing games within your browser almost instantly, with no waiting around. You’ll also have the option of going mobile by simply logging onto the mobile site where you’ll find a large selection of 160 instant play games, while iPad users can download an App, where over 100 slots and many more casino favorites are available. Unibet take a ‘best of the best’ approach by using a number of the top suppliers within the industry, such as MicroGaming, Net Entertainment and PlayTech. This leads to a particularly large selection of games in comparison with many other casinos, with some of the best games found online available. Slots fans will certainly be in their element at this impressive site. Large Jackpot hunters will be more than pleased to see such slots as Mega Moolah and the Dark Knight where a single spin could net you a multi-million dollar win and completely change your life. Alongside these you’ll find some of the highest quality and most enjoyable slots online, including the very humorous Gonzo’s Quest, the involving Immortal Romance and the innovative Jack and the Beanstalk. In all, the site is host to in excess of 300 slots, so you’ll certainly be spoilt for choice, with something for everyone, including your standard five reel slots alongside a number of games where the setup is a little different – try Elvis the King lives for a fine example. 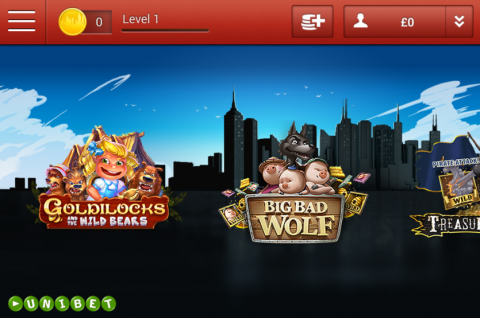 Summing up the slots is easy, this is simply an unrivalled collection of the biggest and best slots from all the big (and many smaller) software houses. You will be hard pushed to find more life-changing jackpots in one place! Check out www.unibetcasino.com now for the full list! Head to any other section of the site and you’ll be similarly surprised by the huge range of games on offer. You’ll find 34 varieties of Blackjack and 15 different Roulette games, the Blackjack range including single deck games and Jackpot games, while the Roulette range includes standard European, French and American games, as well as Multi-ball and Multi-Wheel Games. You’ll also be able enjoy 11 varieties of video poker, with multiple versions of the classics such as Jacks or Better and Deuces Wild. A number of table and card games are also available, including such favorites as Craps, Casino Hold’em, Baccarat, Caribbean stud poker and Red Dog. The casino is neatly divided into five distinct sections – Slots, Roulette, Blackjack, Video Poker and Table & Cards, so navigation is quick and easy. You’ll also find a high class live casino at Unibet, this site accessed through its own tab at the top of the website, although each individual game can also be found in the relevant section of the casino. 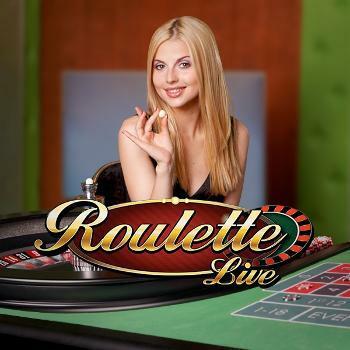 Live Casino offerings include roulette, blackjack, casino hold’em, baccarat and 3 card poker, these all played with live dealers in a real casino setting, your bets placed on the real action at the tables – the dealers are friendly, smart and attractive too! There’s a very generous 100% deposit bonus on offer when joining the Unibet Casino, this offer on all deposits of between £10 and £200. This bonus has a wagering requirement of 25x on the bonus cash only, making for one of the better offers you’ll find online, playing the slots being the quickest way to clear the bonus, as stakes at table games and video poker as usual will only contribute 10% towards bonus clearance. You’ll also have 50 free spins at Mega Fortune Dreams – 5 spins when you sign up and a further 45 when you make that first deposit. Existing members can enjoy many special offers too. Take part in daily casino tournaments, live casino races, and slots leaderboards and you’ll have the opportunity of winning some welcome added funds. A random prize drop might come your way when playing on both your desktop and your mobile device, you’ll have the opportunity of free bonus money simply by logging in on a Wednesday, while playing selected games on your mobile device on Sunday will see 10 free spins will come your way! For the latest info on promos and bonuses, see my Unibet Casino Bonus page. Unibet are an industry leader when it comes to innovations in sports, casino and online poker games. By collecting the best games from all the leading software houses, they have put together a diverse site which will keep you fully entertained every time you play. A huge list of mobile games are offered too. Check out the latest titles (which include the jackpot slots from the biggest and best brands) now at www.unibetcasino.com!